This is where I lived from 1959 until June of 1964, with my two sisters and my mother, Marion. 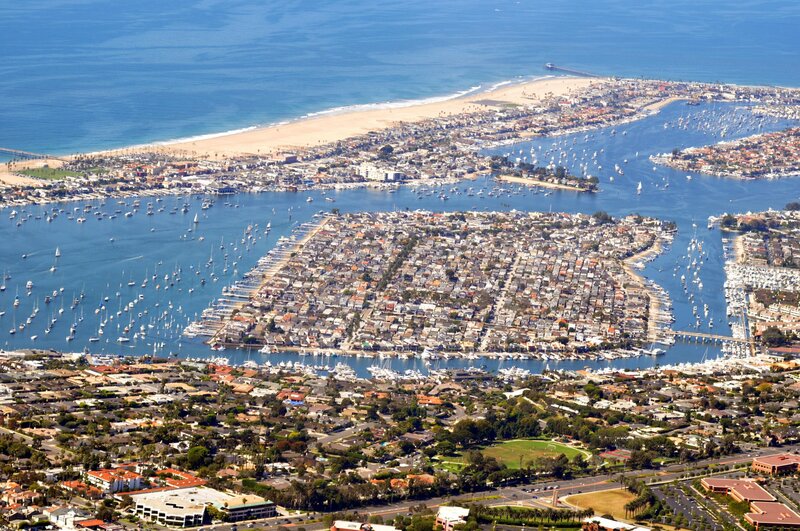 Balboa Island, California. That’s not entirely true as even back then the rents on Balboa Island would double in the summer time. So every summer we headed over to live in Corona del Mar. And every school year it was back to Balboa Island. 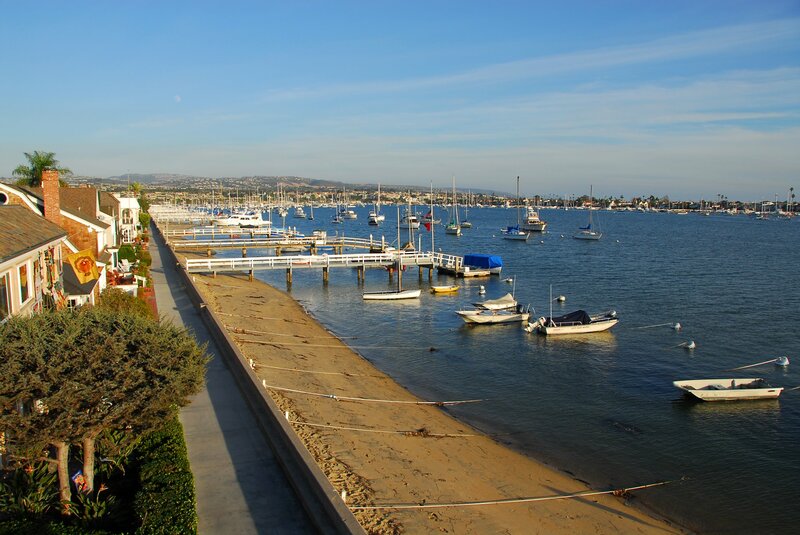 Our family lived in five different houses on Balboa Island – all rentals. Four of them were still standing the last time I was there in the late 1990s. Now, why a single Mom raising three kids on her own would choose to do this every year, you’d have to ask her? If she were still alive. I can only guess why. But I can appreciate that she did it 50 years later. In fairness, my Dad, a career Deputy Juvenile Probation Officer with L.A. County, gave $65 per month for each child as part of the divorce agreement. So Mom got an extra $195.00 on top of her salary of maybe $300 a month as an executive secretary to various Newport Beach big wigs back then. Although it was 50 years ago since I lived on Balboa Island, the memories are still vivid. It seemed like a magical place for a young boy at the time and it basically was. Friends were plentiful. I still remember their names: Bill Powers, Johnny Miles and Paul Connerty. We used to run around the Island, literally at times, and we were also blood brothers, having gone through the cut and rub ritual with our thumbs that we saw from watching the Tom Sawyer movie. I lost track of them but not the memories. There are two memories in particular that stand out for me, among hundreds, about that time – and it wasn’t watching Jack Ruby shoot Lee Harvey Oswald on live TV. One was a birthday party. A birthday party for one of my six-year old friends. There must have been thirty kids my age there. There were many fun events that day, including a Pinata bashing. But the most memorable event was an old fashioned scavenger hunt. We were divided into about 6 teams and sent out with a long list of items to bring back. I only remember two of the items on the list that day: a 1955 Lincoln Wheat Ears Penny and a red thumbtack. At the second house we stopped at, this very nice, elderly lady, who was probably all of 35 years old, helped us gather the complete list. We were amazed. We were six. 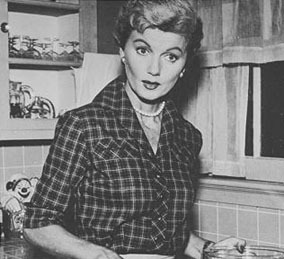 She had everything for us and she helped us gladly at a time when a group of 5 six-year old kids could still knock on peoples doors in the daytime and have someone answer, with a Barbara Billingsley, “Leave it to Beaver” smile on her face – no pearls. She had everything, I should say, except for one item. The red thumbtack. She apologized, saying all she had were white thumbtacks. We were so happy to only need one more item to complete our list, we started to head off to the next house. But before we could she said, “Wait a minute, I have an idea.” And she disappeared for a moment, up the stairs – the kind where Wally and the Beaver had their bedroom at the top. When she returned she had a white thumbtack in one hand and a bottle of red nail polish in the other. She took out the nail polish and expertly painted the white thumbtack ruby red. Then she blew on it a few times, as if we weren’t excited enough already, pronounced it dry to put in the goodie bag and it was off to the races for us, back to the house to see if we had won. We won that day alright, by a good 45 minutes over the next place team. And the lesson that woman taught me has stuck with me for 50 years. The other memory has to do with those friends I mentioned: Johnny Miles, Bill Powers and Paul Connerty. It was a hot early June, if memory serves. The year was 1962 or 1963, making us about 7 or 8 years old. It was a long ways off until late October and Halloween. Now Balboa Island, as you might imagine was a trick or treat’ers paradise. 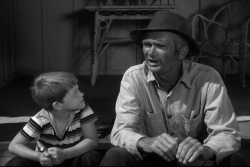 Among the residents was Buddy Ebsen, who was in his Beverly Hillbillies TV show heyday at the time. It was not unusual to see Buddy, shirtless, belly protruding, at the corner market – like any other local. Buddy was also the only resident on the Island that had a diving board on his private pier. Where Buddy also kept his boat and racing yacht. But unlike all the other residents who locked their private piers, Buddy left his open and let all the kids on the island use the diving board. Buddy was as cool as Jed Clampett. At Halloween time the rule at Buddy’s house was, two hand fulls. You got to stick your hands into this huge, Jethro Bodine-like bowl and takeaway as much candy as two handfuls would allow. But now we are back to June – 50 years ago. It’s a Saturday and it’s hot. Bill has a bunch of Halloween costumes in his garage. One of us, I am sure it was not me, said, “Why don’t we go trick or treating today?” And nobody could think of a good reason why we shouldn’t. So we did. We got dressed up on that hot June Saturday, in four different Halloween costumes, and went went trick or treating door to door on Balboa Island. Now, we were not exactly sure how we were going to be received. But I know I was a lot cuter when I was 8 then I am now and my friends must have been too. Because you would have thought we had just made the day of everyone whose door we knocked on. And we knocked on a lot of doors that day. If they didn’t have candy, we got cookies, cake, or apples and oranges too. They all gave us smiles. One took our picture, with a camera that used real film. It was a good day for us. I am sure of it because I remember it 50 years later. So what is the point of this essay you may be thinking? What does it have to do with Thailand Footprint? For me, it’s about self limiting beliefs. My Mom raised her three kids in the early 60s on Balboa Island, by herself, on less than $500 a month because she believed she could. Because she knew it was a good idea. Not an easy idea, but a good idea. The nice lady who helped 5 six-year old boys, refused to believe she didn’t have any red thumbtacks in her house. And because she refused to limit her beliefs the world of possibilities became larger for her and a group of boys who won a birthday party contest, fair and square, that day. And my three good friends, my blood brothers and I could not think of one good reason why we had to wait until October to go Trick or Treating. So we didn’t. The question I pose for you the reader and me, is, what self limiting beliefs, if any, do you have today? 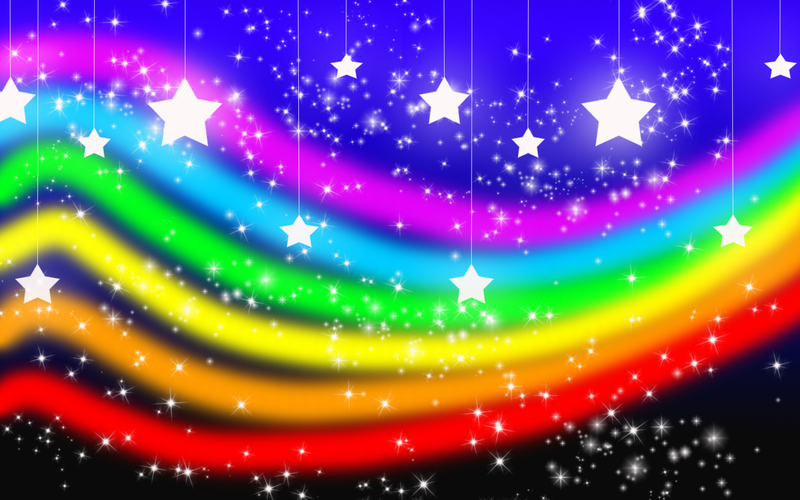 What is out there in the world of possibilities that your belief system may be holding you from? The older I get the more convinced I am that the answers to the questions don’t matter quite so much. What’s important, I think, is that we keep asking ourselves good questions. This is one of my favorite spots where I live today, when I am in California. 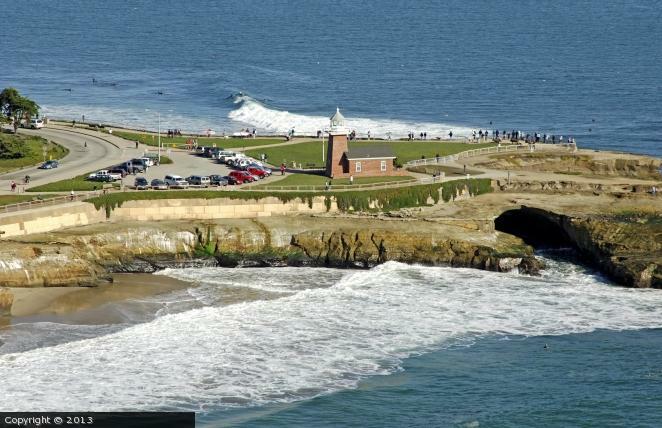 It is Steamer Lane in Santa Cruz. It is a good 10 hour drive to Newport Beach. Is it a coincidence I ended up living in a beach community, or did the footprints left behind from those early childhood years have a life long impact? It’s good to live in the moment. It’s also good, as the sailor Buddy Ebsen suggests, to look back at our wakes to determine the course we have steered that got us to where we are. I know the answer to my question but it’s the question that’s important. And when I am not in California, I am in Thailand. Because life is not always about white thumbtacks or waiting for the one day a year you are allowed to wear a costume. Sometimes you need to add a little color to your life on your own. And it’s usually a lot more possible than we realize. Love this Kev. It was a magical place to be a child, despite the challenges we had, each of us in our own way. I do remember diving off of Buddy’s dock, the wonderful carefree days spent at the beach, sand in my keds, being tan with no inkling it was bad for you, the taste of dried salt on my skin, cherry cokes from the JR and chocolate covered frozen bananas…I could go on and on…meeting Rox and Marion and you and Skip…some things go deeper than we could ever imagine at the time. Thanks for sharing. Hey, Kathryn … glad you liked it. Yea, the hard part is sorting out the good memories – there are so many. Fishing with my grandfather with nothing more than a drop line and a can of corn for bait from a floating public pier is another. Pet ducks; pet octopus … And good Balboa knowledge with the JR … The Jolly Roger complete with black flag with skull and cross-bones outsides. I had to edit out frozen bananas so I am glad we got them in – twice ;o) Thanks for the vivid post. Brings back memories of summers spent on Balboa in the mid 1950s at the homes that parents of friends rented for the season. And I too moved north to the paradise of Santa Cruz where I spent 30 years before moving permanently to the land of smiles. Small world, Will. Hard not to have good memories of Balboa Island if one was lucky enough to be there – particularly the 50s and 60s. Thanks for the post. Very moving remembrances and it made me think of you, Skipper and Roxanne and how fortunate you were to have that amazing wonderful mother. It was one of the great pleasures of my life to have known your mom and to have been (as were many others) a part of the family. Embracing life was her gift and we are all better having know her. Thanks, Robert. I agree 1oo%. Thanks also for taking the time to leave a comment. I went back and saw Chic Wallgren and Tom Barry a year ago after 23 years and gave Tom the big ceramic shoe Marion gave me. So it’s not too late for us. I’ll keep in touch. Thanks so much for writing. I grew up on a beach too, wonderful memories. Love your thoughts on self limiting beliefs, I had a very profound dream that I plan to write about relating to what you mention in your essay. Thanks for sharing your lovely story. Cheers!